Simon Jacques (James) Prokhovnik was born in Paris in 1920 to Polish-Jewish parents, and after migration to Australia (at age 11) received his BA and MS at Melbourne, became a high school math teacher, and later a professor of mathematics at Melbourne University and the University of New South Wales, Sydney, in the School of Mathematics. He also worked for many years as an industrial chemist and biochemist. In addition to The Logic of Special Relativity, he wrote over forty-five papers including some on the problems of learning and teaching. Prokhovnik first opposed, and then agreed with Geoffrey Builder in the circa 1957 controversy concerning relativity and the twin paradox. Following the Penzias and Wilson discovery of the cosmic background radiation (1965), Prokhovnik was the first to publish a book, The Logic of Special Relativity (Melbourne University Press, 1967), in which he argued that light is uniquely isotropic with the CBR frame. 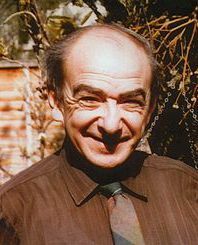 Prokhovnik died in 1994 from motor-neurone disease. Although Prokhovnik may be an obscure figure in the US, he is well known in Europe, particularly by the likes of Dr. Franco Selleri et al. "The Physical Interpretation of Special Relativity - A Vindication of Hendrik Lorentz", Z. Naturforsch, V48-A: 925-931 (1993). "Mathematics and Reality (Review of W. Salmon: Space, Time and Motion)", The British Journal for the Philosophy of Science, V28, N2, pp. 189-194 (Jun 1977). Neo-Lorentzian relativity, Journal of the Australian Mathematical Society, Volume 5, Issue 02, May 1965, S. 273-284.